A Western Division school is urging members of the public not to give up no matter what the circumstances may be. The message from Tavua District Second­ary School is the school’s central theme at this year’s Kula Awards-Fijian Made Film Awards. The short film is titled ‘Proud Poverty’ and the script was written by Year 10 stu­dent Alesi Bakadroti. 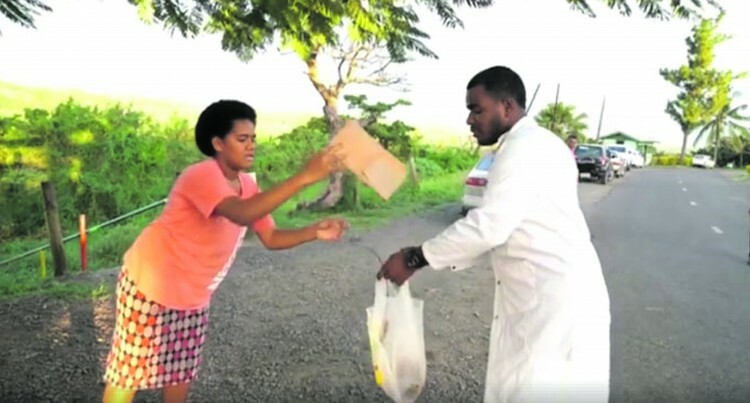 School co-ordinator for the 13th Annual Kula Awards, Sarome Fiu, said the film was based on a girl who never let poverty stop her from achieving her dream. “Some of our students are raised by single parents and this film encourages them that they should not let their circumstances stop them from becoming someone great,” Ms Fiu said. “Life will not always be easy. We will face challenges in life, but with perseverance and hard work we can overcome anything. “The film is about a girl who had to be a mother to her younger siblings because their mother left them. She had to go fish­ing and sell what she caught to help them financially. The Kula Fijian Made Film Awards and Fiji Airways Art competition will be held at Damodar City on July 27 and the Fiji Link Dance competition will be held on July 28 at the FMF Gymnasium.